Summer means spending some time at the beach. 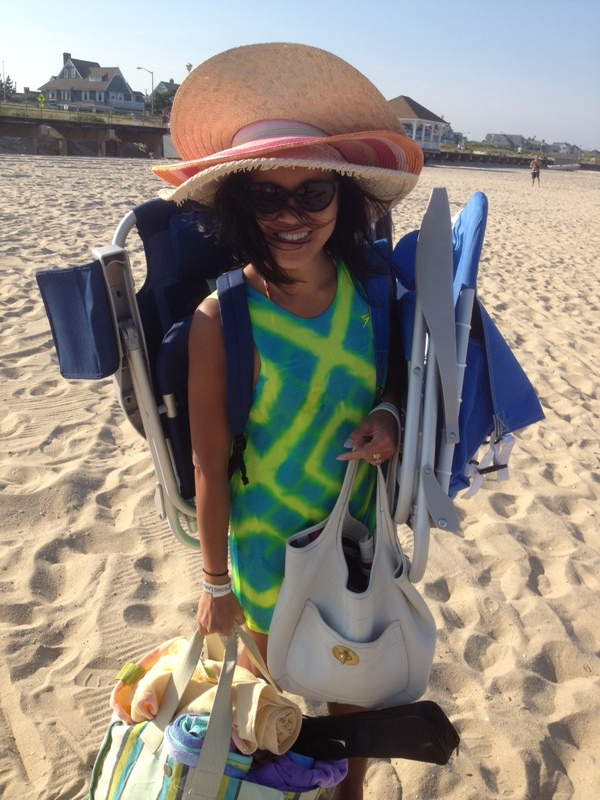 Summer time at the beach requires major schlepping! For those of you who don’t know what schlepping means: Schlep derived from the Yiddish word, “shlepn”. It means to drag, haul, carry or make a tedious journey. The kids wonder why it takes me a few hours to load the trunk of the car. Why wouldn’t it? And a mother is always the one who happens to be schlepping all these – with a little help from the kids, of course! 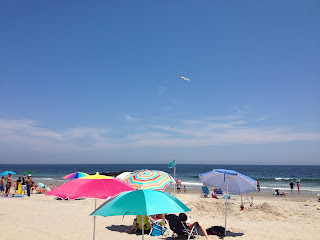 Spring Lake, NJ is one of our favorite summer spots. 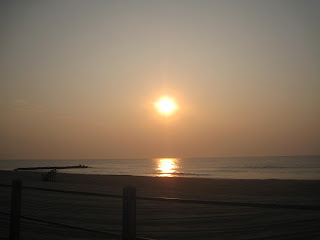 Last year, I witnessed the sun rising and I captured it with my digital camera. The setting was so stunning that I used it as cover for my book, “Outof Status”. At the book launch in the Philippine Consulate in New York, one of the guests was amazed that the picture was not photo-shopped and was just taken using my digital camera. I guess when something is truly beautiful, any simple device will be able to capture its essence. Exit 98 from the Garden State Parkway will take you to the beach.The day pass costs $9 each. Kids’ eleven-years old and younger are free. If you are a family of 6, the cost of stepping into the beach can be pricey. However, admission is free after 4pm. I don't mind schlepping. Love is spending time with my kids, my family. I know how it feels when family are far away, or no longer with you -- so as much as possible, I try to put away time to be with them. I don't fully remember what my parents said to me, but I can still remember and feel how they made me feel: LOVED! Every day we add another piece to the collage of childhood memories. One of the best conversations I've had with my children are during dinner time. 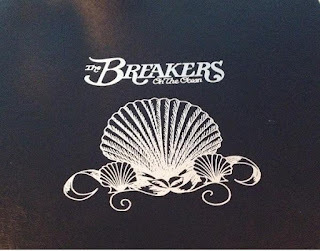 In Spring Lake, The Breakers is a really nice restaurant and the dishes are reasonably priced. 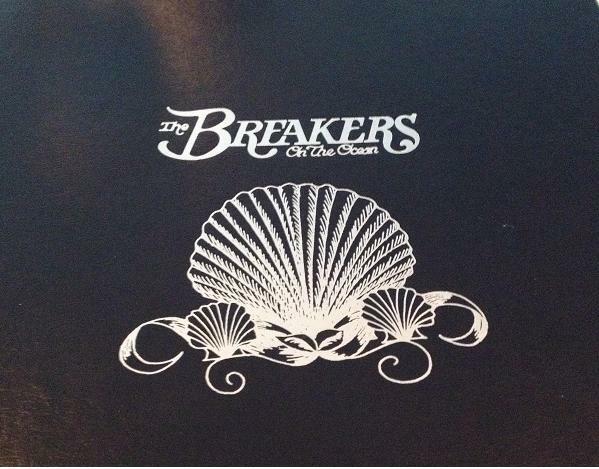 Don't feel intimidated by the location of the restaurant or the hotel. If you're in the neighborhood, go inside and check it out. On some days (not on weekends), they have the early dinner special for a discount -- and you don't have to be a senior citizen! Seeing the smiles in my family's faces makes schlepping to the beach a very necessary task. Motherhood is definitely a gift, not a job! 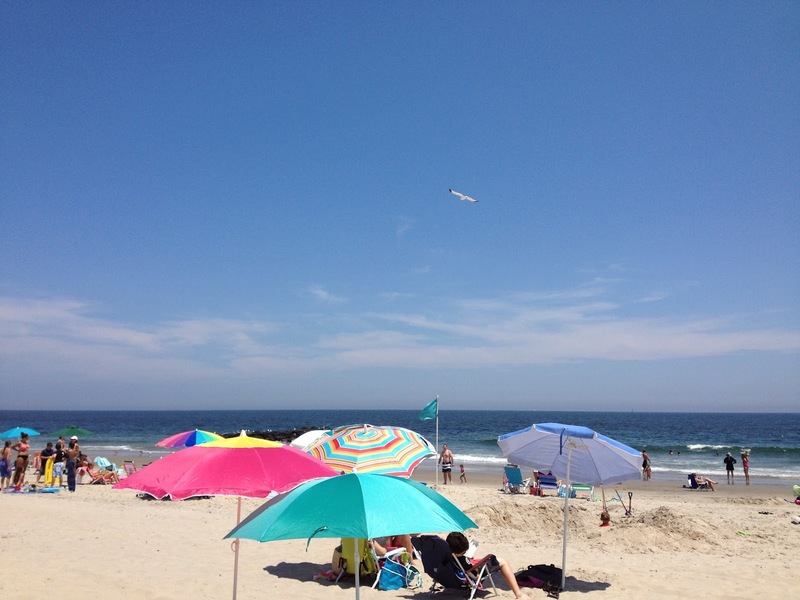 How about you - what's your family's favorite summer spot? I want to go to a sandy beach some day. All I have ever been to is an overcast muddy beach with random sharp rocks. By the way a best beach cart is essential for carrying the stuffs on the beach.